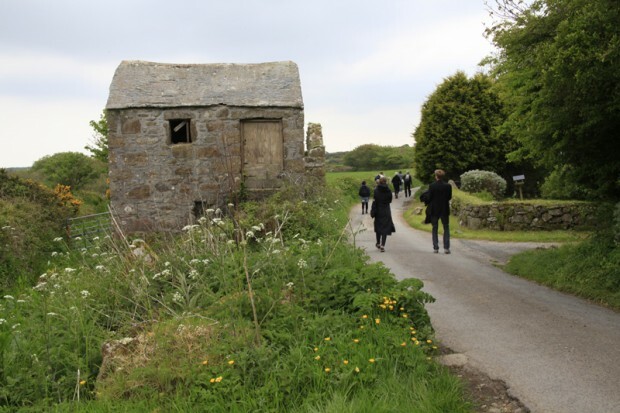 This field trip offered a 10-mile walk led by artist Billy Wynter and National Trust Countryside Manager and history enthusiast Jon Brookes. Photographs by Jane Robinson, introduction and captions by Billy Wynter. Coast to Coast was a walk with two slightly opposing intentions. 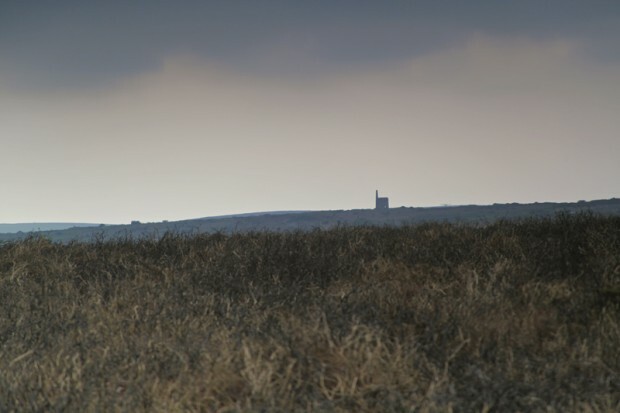 The first was to provide an experience in West Penwith’s varied landscape, an immersion in place. This is a personal process and often disturbed by too much talk and too many explanations. 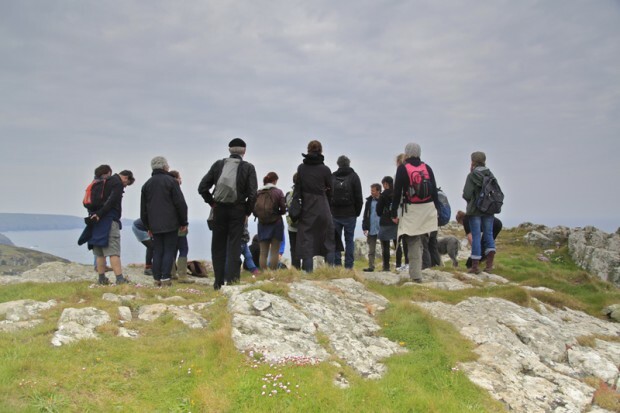 The second was to try to pass on a richer understanding of what underlies the landscape – the geology, the human history of land use and the ecology of now. Gurnards Head. The north coast start of the walk. Composed of ancient sea-bed shales sandwiched between outcrops of volcanic lava and intruded dolerites. The site of an ancient cliff castle, hut circles and possibly an ancient trading centre for tin. 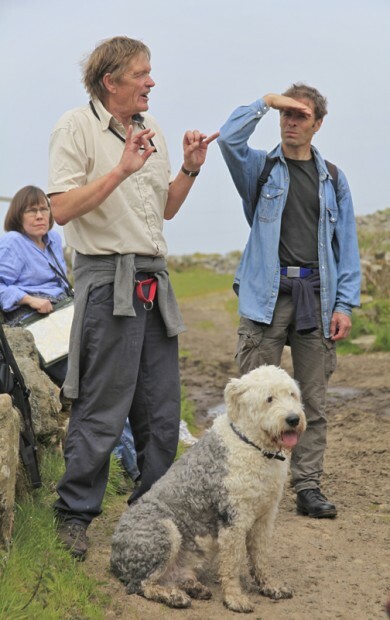 Jon Brookes and amiable companion Barnaby, Gurnards Head in the background. Jon talking about land use and resources at this north coast location: moor and cliff for rough grazing, fuel and animal bedding. The coastal strip of intense agriculture and the cove for access to the sea for fishing. Mining also evident from the old engine house below us. Just west of Gurnards Head. 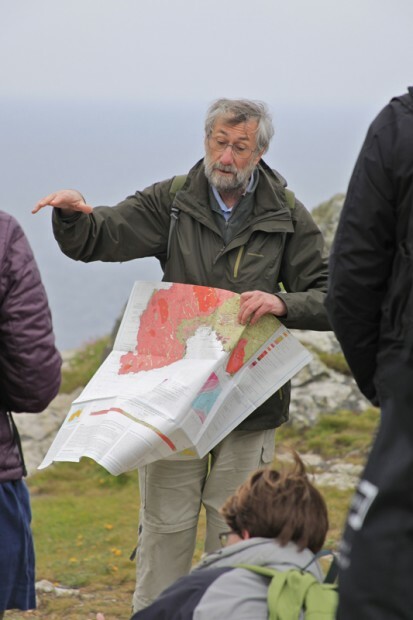 Gathering to discuss the exposed geology of the coast. 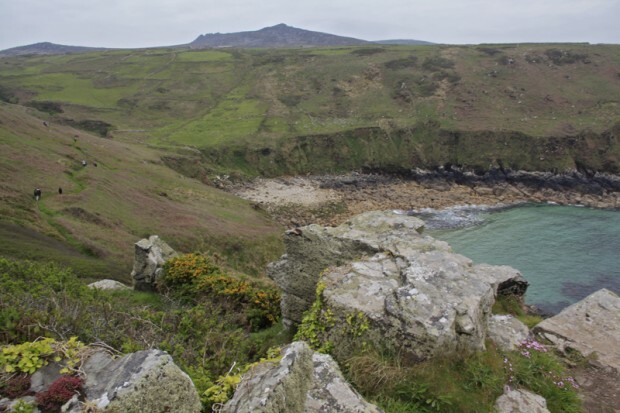 Porthmeor Cove, west of Gurnards Head. 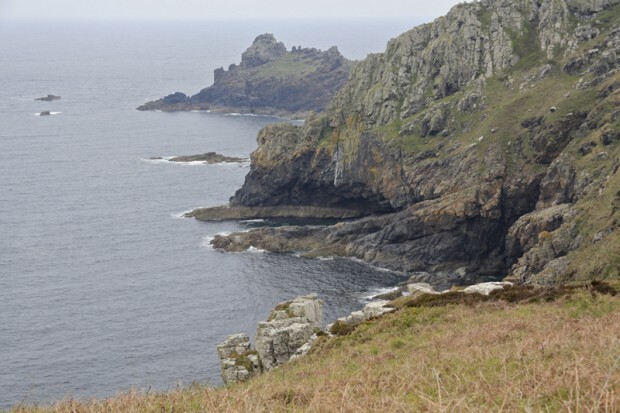 A classic geological site where the granite and country rock meet; the interface is clearly seen on the shore and cliff face. Bosporthennis. 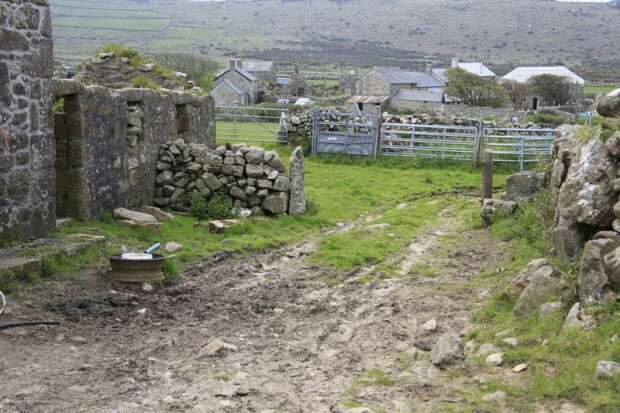 An ancient inhabited moorland farm, up the valley from Porthmeor cove, at one time home to many families. The granite-hedged fields tracing different eras of enclosure and agriculture. Jon Brookes discussing the subtle symbiotic life stories of large blue butterflies and ants and how managed grazing by cattle allows specialised habitats for species like the large blue to be maintained. 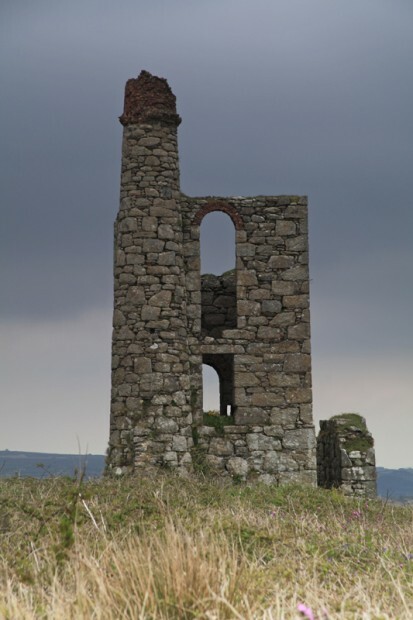 Ding Dong Mine, tapping into the granite moorland backbone of West Penwith in pursuit of tin. Mulfra Quoit. 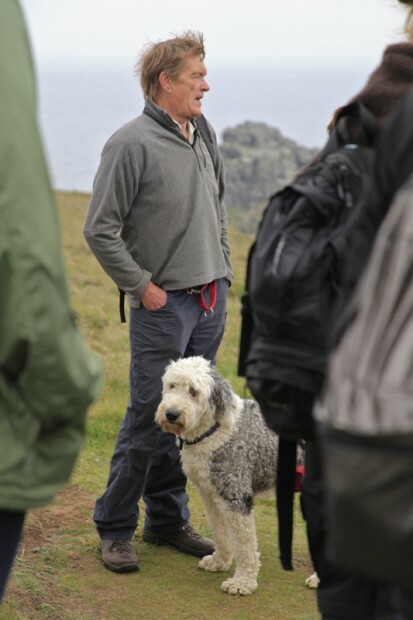 Jon Brookes discussing competing theories of this Bronze Age site. 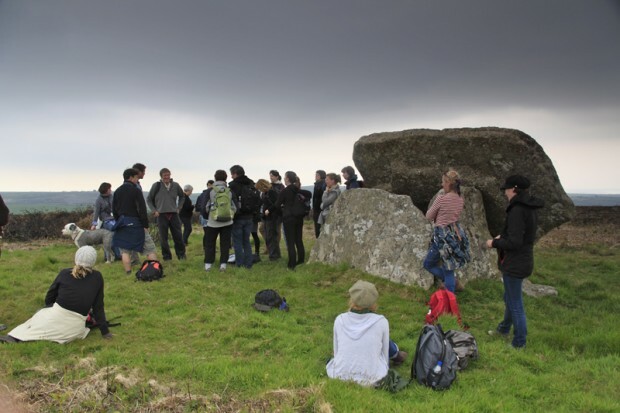 Was it a burial chamber or was it a ceremonial or celebratory site? The jury is still out. The lane from Bodrifty to Ding Dong; everyone at their own pace. A closer view of Ding Dong Mine. This is the nineteenth-century engine house that would have powered pumps to clear the mine of water and probably a man engine to lift miners from the depths. Trengwainton Carn. 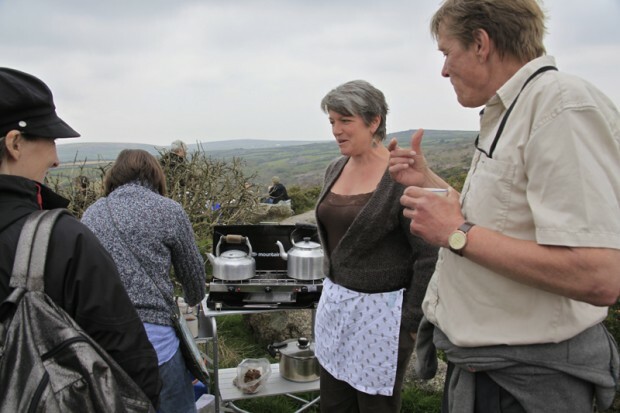 Kath Hawkins provides hot tea and scones. Welcome refreshment before the descent to Penzance. Approaching Rosehill. A beautiful jungle-like experience of profuse green. But ultimately rather soggy. A few shoes overtopped. Rosehill. 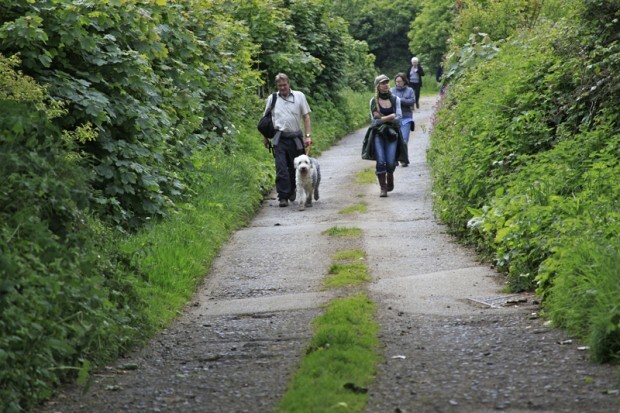 The last real bit of countryside, the lane down from Rosehill to cross the A30 and enter Penzance’s leafy suburbs. Penzance. The beach, west end of Penzance promenade. The outflow of a stream draining from the moors and passing Trengwainton Carn. 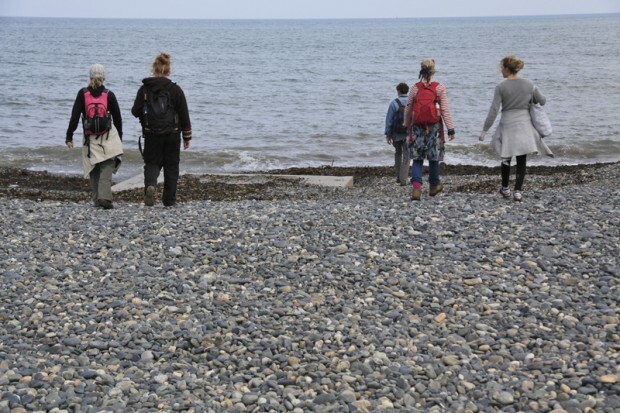 The mixed pebbles mirroring the geology: light-coloured granite, darker country rock, greenstones and shales. The end of seven hours gentle walking. 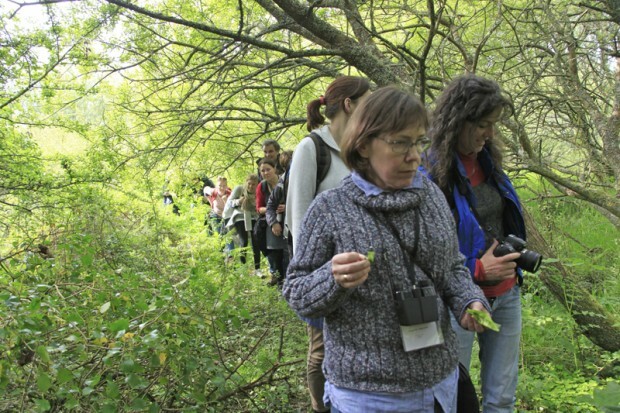 Read more about this field trip in the Programme listing and view Billy Wynter’s report (006).